Casino icon Gary Green will be in Las Vegas searching for troubled casinos for his new television series. The legendary casino boss is now staring in a new television series developed by Frogwater Media. Nationwide television exposure of their casino plus a state-of-the-art makeover and marketing; what more could a struggling casino ask for? 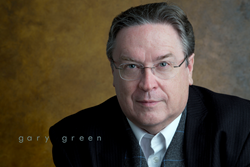 Iconic casino “boss”, author, and television personality Gary Green will be looking for casinos to “turn around” when he appears before industry luminaries in September at Las Vegas’s Global Gaming Expo. “Nationwide television exposure of their casino plus a state-of-the-art makeover and marketing; what more could a struggling casino ask for?” Green said of his quest. Author of the new book “Osceola’s Revenge ― the phenomena of India casinos,” Gary Green is the star of the new television series "Casino Rescue,” in development with Frogwater Media. In the series, Green’s team of casino experts “makeover” troubled casinos and add the star’s own well-known marketing flair. Gary Green is the former vice-president of marketing and player development for Donald Trump and is widely recognized as one of the most colorful marketing characters in the casino world. “We have already struck deals with vendors, designers, regulatory experts, financial experts, and a whole array for casino experts who are eager to help turn around troubled properties. This is an operation that most casinos could never afford,” the host added. Both the television series and the new J. Boylston & Co. published book were sold by Green’s agent, Alan Morell, of Creative Management Partners, Beverly Hills.